Renowned TV Host and Canadian Celebrity Bob McLean died yesterday at the age of 81 due to complications from heart disease. He was the famed daytime television host of The Bob McLean Show, which aired on CBC television from 1976 – 1981. After graduating from Ryerson Polytechnical’s first ever College of Broadcasting class, McLean started his broadcast career in Barrie, where he called the local hockey games then moved onto local television with CHCH in Hamilton, Ontario. In 1966, his talent was recognized by Ohio television station WUAB, where he hosted local award-winning talk show The Bob McLean Show until 1970. KYW in Philadelphia noticed the rising star and offered him a local show called McLean & Company. 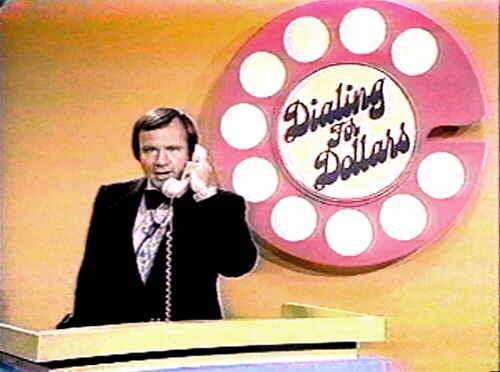 He was touted as the next Mike Douglas and had subsequent offers from Good Morning America, but returned back to his Canadian home to host CBC’s nationally syndicated The Bob McLean Show in 1976. After the CBC show ended, McLean returned to his roots in radio, serving as a host in Edmonton for Canada’s nine-station radio network, CKO, then moved back into television on CKCO in Kitchener before finishing his radio talk show host career in 2011 with Kitchener’s CKWR. During his 60-year broadcast career, McLean interviewed U.S. Presidents, Canadian Prime Ministers, legendary movie stars, and the leading authors of our time. He was the on-air broadcaster who announced the deaths of John F. Kennedy, Bobby Kennedy and Martin Luther King. Through his late 70’s, he maintained his undying love for learning what makes others tick and bringing out the best in them through provocative and endearing conversations on television and radio. He is the father of Abbie Buktaw (deceased) and Jennifer McLean, and husband to Willa (Somerville) McLean. 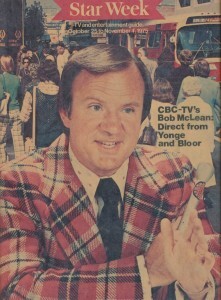 Bob McLean succeeded Elwood Glover as the host/interviewer for the CBC’s lunchtime talk show broadcast from a Cumberland Street shopping mall in downtown Toronto. Under producer Jack Budgell, McLean continued the easygoing format that Glover had established. Lightweight chats gave way to topical interviews that concentrated on more serious issues. 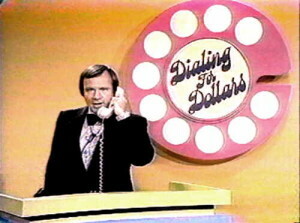 Under the hand of Executive Producer Bill Casselman, from 1976 to 1977, the show minimized U.S. guests and subjects and concentrated more on Canadian topics. It featured regular guests, such as opera singer Don McManus, writer Gary Michael Dault commenting on popular culture, Herman Smith on personal money management, and Walter Fox on criminal law, as well as a filmed segment on sports with the bogus commentator, “Hot” Conway. It was also shot on a newly designed set that reproduced the Toronto skyline. The show’s producer during this period was J. Edward Shaw. Jack Budgell succeeded Casselman as the show’s Executive Producer, and the tone lightened. Producers included Robert Smith (l979-l980), Nigel Napier-Andrews, formerly producer of Elwood Glover’s Luncheon Date (l980), and John Johnson (l980- 198l). The show’s musical director was Jimmy Dale. In Summer 1978, McLean presented a “Cavalcade of Nations,” which highlighted guests, music, and food from different nations or regions each day for a month. For comedy, McLean had as regular guests Roger Abbott and Don Ferguson of CBC radio’s Royal Canadian Air Farce, Howie Mandel, Monica Parker, and Sears and Switzer. In the l979 season, the producers took the show outside Toronto and originated in different cities, including Ottawa, Halifax, and Vancouver. In the summer of 1976 and 1977, the CBC used material from The Bob McLean Show for a Saturday evening series called The Best of Bob McLean. Bob McLean was with CKCO-TV in Ontario from 1991 to 1996 hosting a talk show called “Morning Magazine.